The Village editors choose the most interesting tracks of February: an audio guide on how to get out of a toxic relationship from Julia Jacklin, two magic records by Jessica Pratt and Panda Bear, the gothic southern blues of Adia Victoria and, of course, fresh releases by Pasos and Boulevard Depo. Listen to the collection The best songs of February: The Village version in high quality, absolutely free. You can listen to the whole collection, or separately song by song. 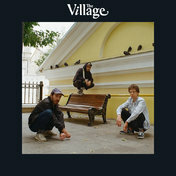 In addition to The best songs of February: The Village version of the collection, you can find any other one by following the link and get information with the already collected collections and collections of tracks, songs and music.